A horrific crash took place in the Murmansk region and video has emerged showing the bomber’s approach of the landing site in near-zero visibility and the moment the plane snapped in half, exploding. The video appeared to be recorded by one of the servicemen at an air base near the city of Olenegorsk, according to RT, and has since been leaked online, showing heavy fog covering the area during the January 22 incident. During the landing the strategic bomber literally split in two while landing in Olenegorsk, with its cabin catching fire, stopping further than the rest of the plane. Two of the crew members died during the crash, and the pilot later died of his wounds. 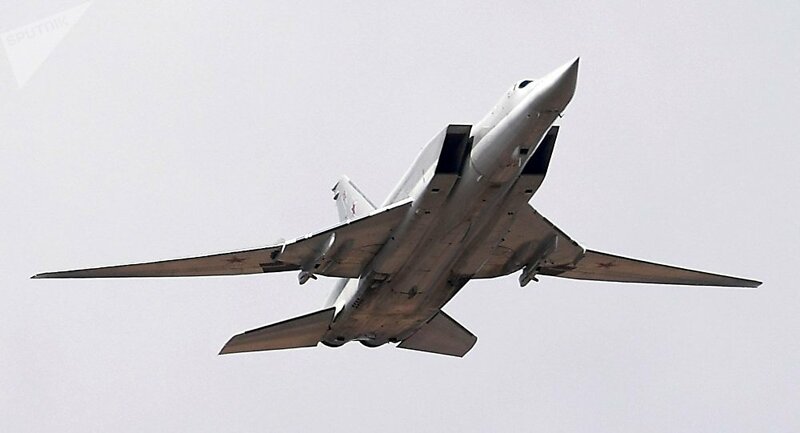 The fatal flight which took place in blizzard conditions was a routine training mission, according to the Russian Defense Ministry, the bomber wasn’t carrying any weapons during the incident. The Tupolev-22M3 is a supersonic long-range strategic and maritime strike bomber. This particular aircraft was produced 33 years ago but has since undergone a major overhaul in 2012, and was reportedly further due for a full modernization.